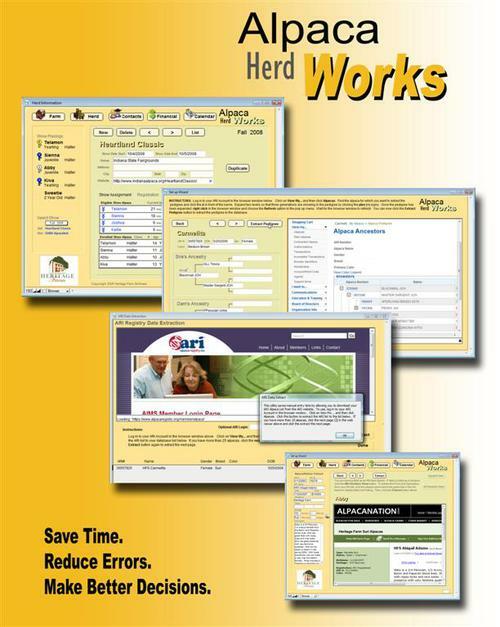 Herd WORKS software lets you easily create and manage an extensive database of valuable alpaca information. The application focuses on specific areas related to Alpaca herd management practices. Herd management, health management and reproduction management highlight the main functions of the application. Additional features provide producers with the ability to add alpaca photos, link to documents, maintain show records, record fiber histogram data and keep fincancial records and much more. Herd WORKS was created by an alpaca breeder and used extensively to manage the Heritage Farm Suri herd before being offered to other like-minded alpaca breeders. 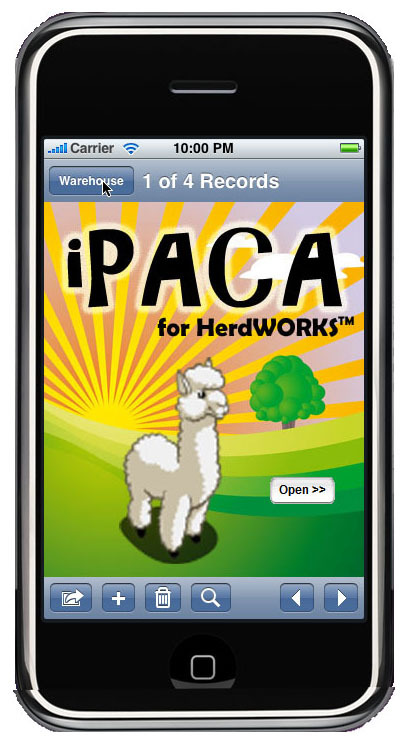 AHW was the first herd management software to allow you to download of all your alpacas and ARI data from the Alpaca Registry website - no need to type each alpaca into the database! Pleasing Graphical Interface - easy to navigate and screens look great! Weight Graphs - lets you monitor weight gains (or losses) at a glance. Plus, reports that summarize birth, weaning and 1-year weights of crias produce by your dams. Breeding Planner - lets you create a breeding plan and study "what if" scenarios. Feature-packed Contact database including an integrated web browser that allow you to instantly look at a Google map of the contact and the local weather at the contact's address. 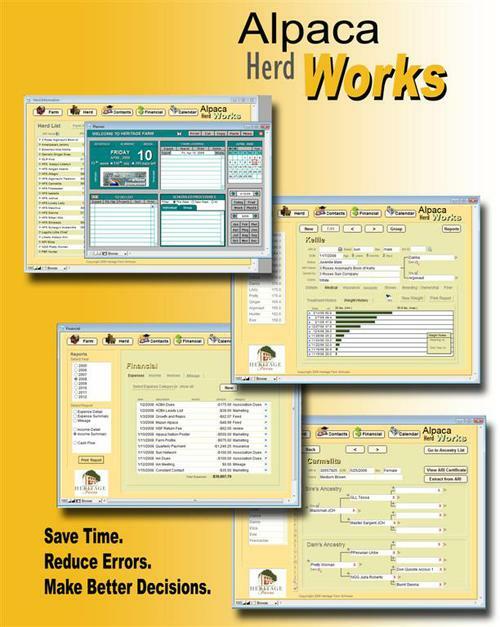 Extensive Calendar Module - schedule events, create to-do lists, manage projects and maintain a farm journal. 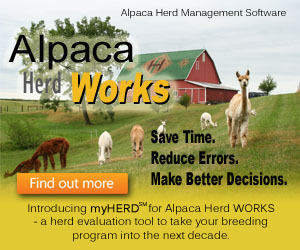 Click the Buy Now button to be directed to the Alpaca Herd WORKS website (you will not be charged).